Today, major brands have become more invested in defining Corporate Social Responsibility (CSR). While the term became popular in the 1960’s, it has truly emerged into one of the most measured core values of organizations today. With Millennials holding such strong desires to buy from and work for companies that are making positive social and community impact, we believe this trend will grow even more in the years ahead. There have been numerous studies that indicate the importance of authenticity in leadership. I have been a big proponent of this, but not just with individuals. An organization should also express genuineness in being true to its mission from a social and community standpoint. This helps drive business decisions that have lasting meaning, especially in aligning with goals that are not exclusively profit driven. 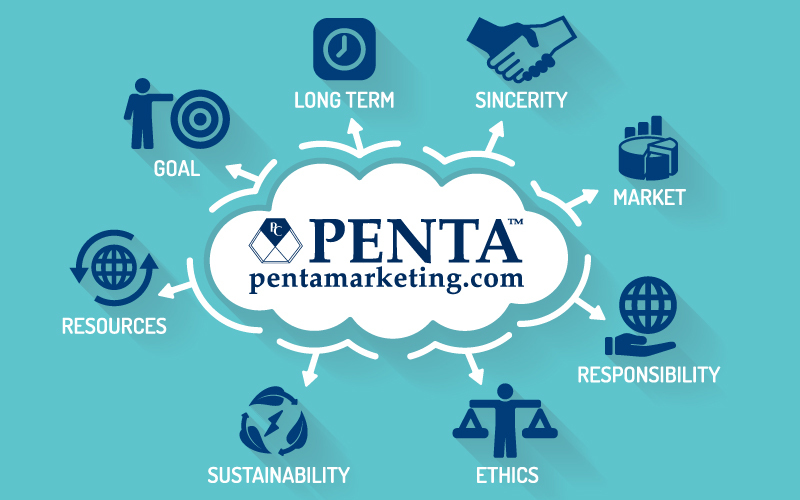 When a business has a deep sense of its core values and understands its potential to shape positive change and influence others to align with initiatives, causes, charities, and social movements that will make our world better, it is operating at its highest level of consciousness. We have seen global organizations and brands place increasingly significant value on how they can make a lasting social impact, become more engaged, and through transparency of reporting, open doors for conversations with customers that are in alignment with their same principles. They attract better employees with stronger work ethic and similar values, and perform better financially. Over the past few years, we have seen an emergence of organizations that have brought forward new innovations with respect to how they are integrating CSR strategies. Whether it’s regarding climate change, sustainability, human rights, agricultural, or social justice, there are more brands taking a stand to help improve the world in some way. Investing efforts in a sustainability initiative, Lego recycled more than 90% of its production waste. The brand’s growth can also be attributed to stronger retail partnerships, the Star Wars partnership in 2015, and its continual creativity in product development. This wasn’t the only brand success in 2015 from living corporate social missions. Others have also risen to the forefront as industry leaders and social responsibility trendsetters. Oftentimes, clients believe that they cannot reap the same benefits of major global players with CSR programs. We have seen results in companies of all sizes. For every one of our clients that makes the decision to promote sustainability, there have been indications of improved morale and cost savings to the organization. For those, especially our banks and financial institutions, that give back significant dollars to the community, a strategic CSR program simply helps to better align their contributions to their organization’s core values, and also creates a better process for making decisions with respect to charitable giving. An organization or brand that invests both time and effort in the execution of a CSR program needs to ensure that it’s communicating properly both internally and externally. Within the organization, it’s important that the employees are fully knowledgeable to ensure they are part of the effort and as Brand Ambassadors of the movement. Externally, the proper messaging to your customers and/or clients can help demonstrate your commitment to giving back and why it matters, sharing that your organization has a social conscience and is living its values. Just as Lego and other global brand leaders are reaping indirect benefits from their CSR, your company will as well. Does your company have a CSR Strategy? Have you defined your organization’s core values and have you effectively shared them internally and marketed them to your audiences? Are you leveraging your CSR to have the greatest impact on the success of your Company? How are you communicating your story? Deborah Penta is the Founder and CEO of PENTA Communications, Inc. www.pentamarketing.com. She has authored numerous published articles that have appeared in national magazines is a regularly featured conference speaker and media guest. She is also the executive producer of Top Growth TV. Contact her at: *protected email*.